DMOZ is officially dead. I’ve been an advocate of the directory for many years because I was an editor with the ability to test the strength of the links in the database. Unfortunately, the power of the links in the database were ALL that the directory was worth. Nobody actually searched it! What killed DMOZ? Lack of interest from the public and so much spam that human moderation was impossible. A hand-edited directory of the web was a fantastic idea back in the day. It was a bit of a traditional phone book approach to how to locate things online. 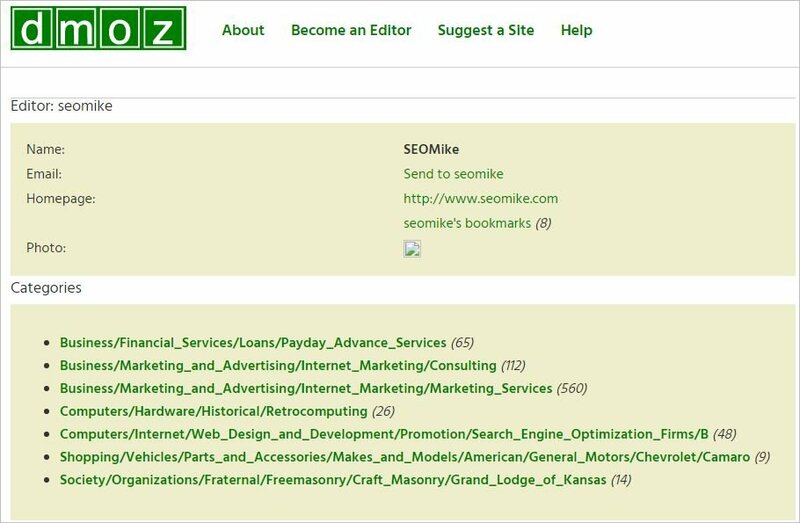 When search engines were feeble and easily gamed, DMOZ was a great way to find a site that you knew at least someone had looked at to vet. Unfortunately, as search engines became more and more sophisticated, the need for a hand-edited directory diminished. I was an editor for quite a few years. At first it was so incredibly prestigious. I was the editor of Internet Marketing / Marketing Services, Internet Marketing / Consulting, and the Payday Advance Services categories. I can still remember when I first became an editor back in 2008. I was visiting my grandparents for the weekend and spent an entire Saturday “greenbusting” my categories. I spent hours and hours connected to their neighbor’s WiFi working through the spam submissions… and I barely made a dent. I can remember at any given time having 2,000+ submissions waiting for review in the Internet Marketing / Marketing Services category alone. Each one required hand vetting, and because it was my name on the line, I went through each site to see what kind of services they offered, how well their content was written, and evaluating their client sites to see how good they were at their work. If they offered anything shady or black-hat, they didn’t make it to MY category. I spent 10-15 minutes vetting each site that was submitted. After they were vetted, I had to make detailed notes about why I did or did not accept them into my category. Those notes were permanently attached to those sites and all future editors would see it. Trust me; getting black-balled in editor notes meant you didn’t get in the directory… ever (at least as far as I was concerned). I think approximately one out of every 20 sites I reviewed made the cut; they were mostly spam submissions. Spam was such a major part of my categories that it squashed my drive to participate regularly. Each week the categories I edited in Internet Marketing would have over a hundred new submissions. It was never ending. People introduced software and would sell DMOZ submission with services. The Payday category I edited got more than that. No matter how hard I worked and how many hours I edited, it felt like I never gained any ground. It was tedious, tiresome, blinding, thankless work. I soldiered on for a long time until I fully lost interest and suffered the same fate of many DMOZ editors, and just stopped caring. I would log in every now and again just to retain my editorial rights, but that was about it. The list of spam requests kept climbing, yet DMOZ did nothing algorithmically to stop it, and the site languished and died. Let’s not forget that in the early days, DMOZ was Google’s index. We collectively owe a lot to DMOZ for its significant role in how the web as we know it evolved. RIP DMOZ and Mozilla (the dinosaur mascot).